But Still Ready to Take More Air! The Fiscal Cliff theater was great 'off Broadway' drama, but the real show for traders took center stage Sunday December 16th in Japan. The curtain went up for the newly elected Prime Minister of Japan as the star actor in the unfolding global fiat currency drama. Japan’s incoming leader Shinzo Abe's opening line was to vow to ram through full-blown reflation policies to pull his country out of slump and drive down the yen, warning Japan's central bank not to defy the will of the people. 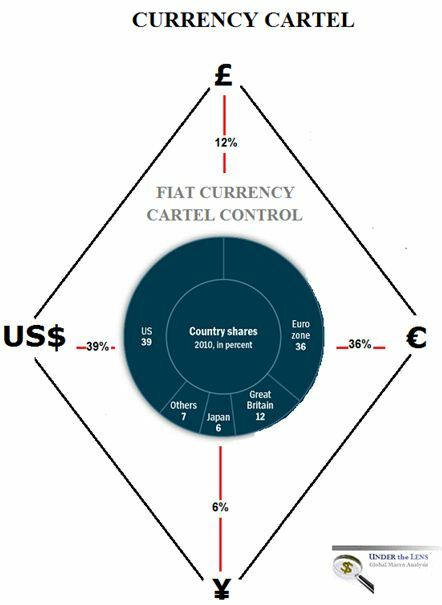 The profound shift in economic strategy by the world’s top creditor nation with a quadrillion Yen debt, could prove powerful for the global economy as a new variant of the "carry trade" seen earlier this decade, but potentially on a much larger scale. "We think this could be the beginning of a fresh reflation cycle for the global system, combining with the US recovery to mark a turning point in the crisis," – Simon Derrick from BNY Mellon. Mr Abe’s Liberal Democratic Party (LDP) won a landslide, securing a two-thirds "super-majority" in the Diet with allies that can override senate vetoes. Armed with a crushing mandate, Mr Abe said he would "set a policy accord" with the Bank of Japan for a mandatory inflation target of 2pc, backed by "unlimited" monetary stimulus. "It's very rare for monetary policy to be the focus of an election. We campaigned on the need to beat deflation, and our argument has won strong support. I hope the Bank of Japan accepts the results and takes an appropriate decision,"
The menace behind his words did not have to be spelled out. Shinzo Abe has already threatened to change the Bank of Japan’s governing law if it refuses to comply. "An all-out attack on deflation is on its way," said Jesper Koll, Japanese equity chief at JP Morgan. Mr. Abe plans to empower an economic council to "spearhead" a shift in fiscal and monetary strategy, eviscerating the central bank’s independence. The council is to set a 3pc growth target for nominal GDP, embracing a theory pushed by a small band of "market monetarists" around the world. "This is a big deal. There has been no nominal GDP growth in Japan for 15 years," said Mr Christensen. The LDP plans what some have dubbed a "currency warfare fund" to weaken the yen with a blitz of foreign bond purchases, copying Switzerland’s success in capping the franc. The effect of Switzerland’s unlimited bond purchases has been to finance most of the eurozone’s budget deficits for the last year with printed money. If Japan tries to do this - with a vastly bigger economy - it would amount a blast of quantitative easing for the world. Japan’s curse as creditor nation with $3 trillion of net assets abroad is that safe-haven flows cause the yen to strengthen during a crisis, tightening policy in a "pro-cyclical" fashion when least wanted, this time due to the Fukushima nuclear disaster and Europe’s sovereign debt saga. In the last 90 days the US, EU and now Japan have announced "unlimited", "Uncapped" monetary policy with UK's soon to be bank of England Governor, Carney indicating he wants inflation & growth targeting also when he assumes the reins.